We are open daily 25 January - 31 December, 10am - 4pm. (Please note we close at 5pm between 22 March & 4 November). Christmas Eve and New Years Eve, we close at 2pm. Buy a Discovery Pass and enjoy 12 months unlimited* access to all FOUR of our sites for the great price of £18 per adult. Accompanying children go free! Purchase one at our sites next time you visit or you can also get them from the Guernsey information Centre. 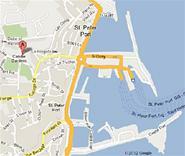 Parking is available at Monument Gardens ('the Odeon' - 5 mins walk) and Beau Sejour (5 mins walk). A bus bay is directly outside the gate for coaches and holders of disabled permits may park in the grounds (arrange this call 01481 726518). Visitors with special needs are recommended to visit the Guernsey Museum page on AccessAble (formerly known as DisabledGo) - click to be directed to it here. AccessAble (formerly known as DisabledGo) have produced a route plan from the Information Centre to Guernsey Museum - view it here. The Early People of Guernsey displays recent discoveries and gives fresh insight into the story of Guernsey. 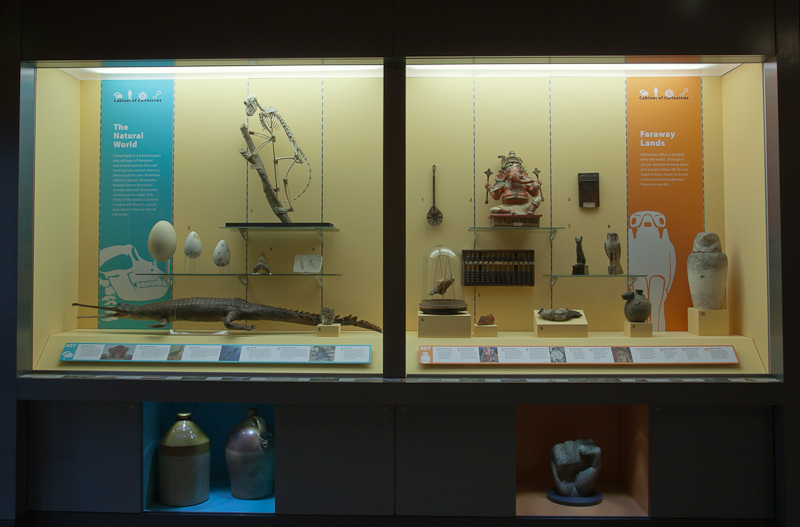 The Collecting the World gallery displays some of the most exotic and beautiful objects from the Museum's extensive reserve collections. Folklore of Guernsey Gallery featuring original objects, stunning artworks by West Country Artist David Wyatt and figures by H&H Sculptors. Interactive audio points will allow visitors to hear Guernsey folk tales in English and Guernesiais. Guernsey Language is represented with a listening area where you can hear native speakers recalling aspects of their lives for you to enjoy in the local patois. 22 May - 8 Sep - To Japan & Back Again - How a corner of Guernsey turned Japanese (A Celebration of Japanese culture) - items from the museum collection and a private collector plus incredible artworks and linked together by a fascinating display about Manga and Anime. 20 Sep - 31 Dec - Wonders of Nature - The Macro and the Micro worlds - marvel at some of the extraordinary and exotic items from the museum's Natural History Collection alongside a stunning photographic exhibition by nationally recognised photomicrographer, Michael Crutchley. Featuring for a limited time only, a piece of artwork by Damien Hirst and one one Glenn Brown. Featuring several of the most prestigious paintings in the museum's collection and including 'The People's Choice' selected by Islanders and our artist-in-residence project exhibiting a recent work by a local artist. The gallery is a small space used to great efficiency to house over 200 artworks, many of which are in banks of drawers inviting visitors to inspect works often too sensitive to bring out into the light. A space for visitors of all ages to explore old fashioned games, read books and see some objects from the Museum's collection. The whole family can also enjoy hands-on activities from the past and dressing up in the Time Warp, which changes every year. The Timewarp theme for 2019 is a 1970s toy shop. The dedicated art gallery of the Guernsey Arts Commission also shows a rolling programme of contemporary locally inspired exhibitions throughout the year. 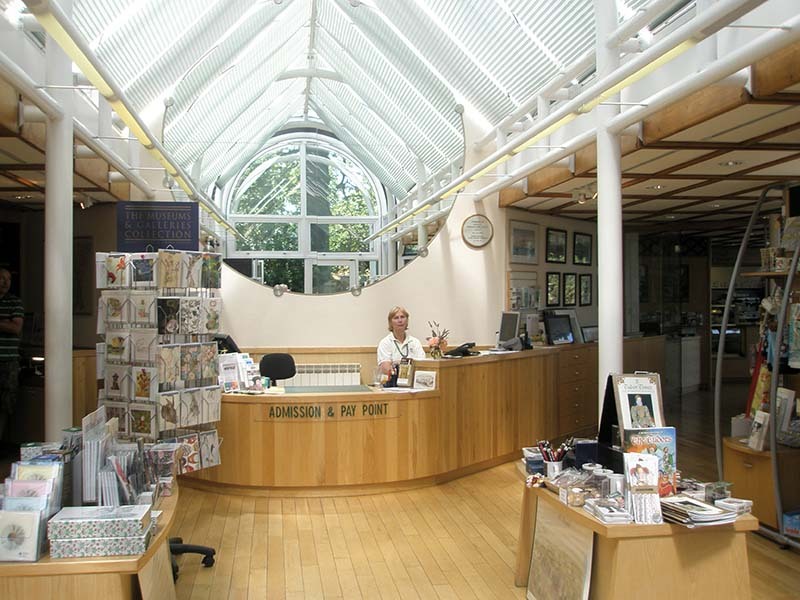 Our gift shop stocks a wide range of specially chosen souvenirs, local crafts gifts for children and books on popular local themes. 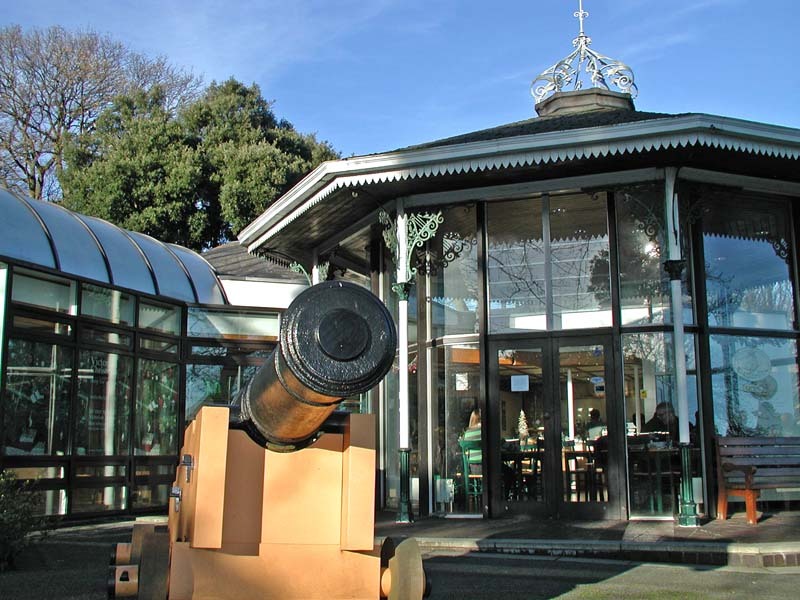 Cafe Victoria is currently undergoing maintenance and hopes to reopen in March 2019 - phone the museum to check. Victoria Tower stands close by, up a small road alongside Candie Cemetery. The key to the tower can be borrowed from Guernsey Museum between 10am and 4pm and visitors can climb the 99 steps to the top of the tower and enjoy incredible views around St Peter Port's town. 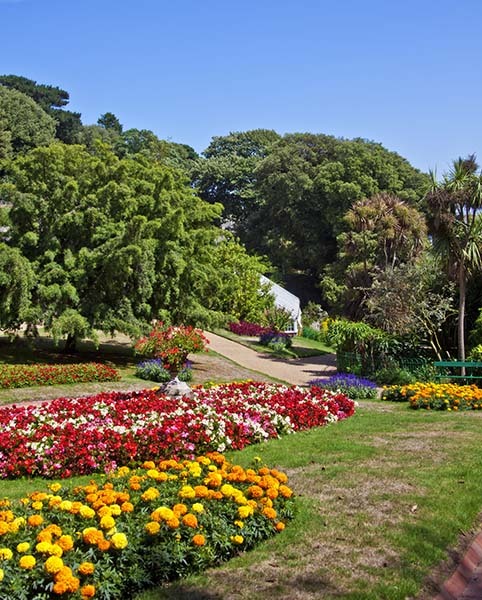 Guernsey Museums stands at the top end of the magnificent Candie gardens. Visitors can discover a wide variety of plants from all over the world in this stunning garden with striking geometric designs, an array of interesting trees for shade and ponds for quiet reflection. The statues of Queen Victoria and Victor Hugo stand in the gardens near the museum building which also houses the headquarters of La Société Guernesiaise. The Priaulx Library stands next door at the top of the Gardens. The Museum opened in 1978 to combine the collections of three former island museums. It was purpose-built, cleverly including a Victorian bandstand into the design. In 1979 it won a Museum of the Year award and is an accredited attraction under both Guernsey and UK schemes. Is there anything for children & families? The Time Warp, an area next to the Discovery Room which is decorated as a certain period from history. The Time Warp changes every 12 months and has previously been Ebenezer Le Page's sitting room and a 2nd class cabin from RMS Titanic.